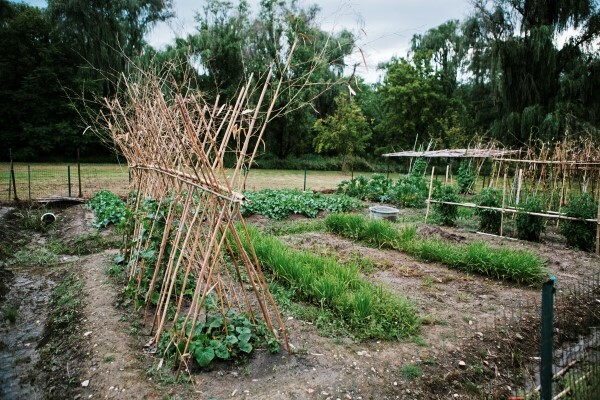 The Chinese technique of building permanent, intensive beds in the vegetable garden is a centuries-old practice that has stood the test of time because it is so effective. Even intensive beds that are very small will grow a huge yield of produce, and the neat orderly beds fit easily into any garden design, even one with limited space. 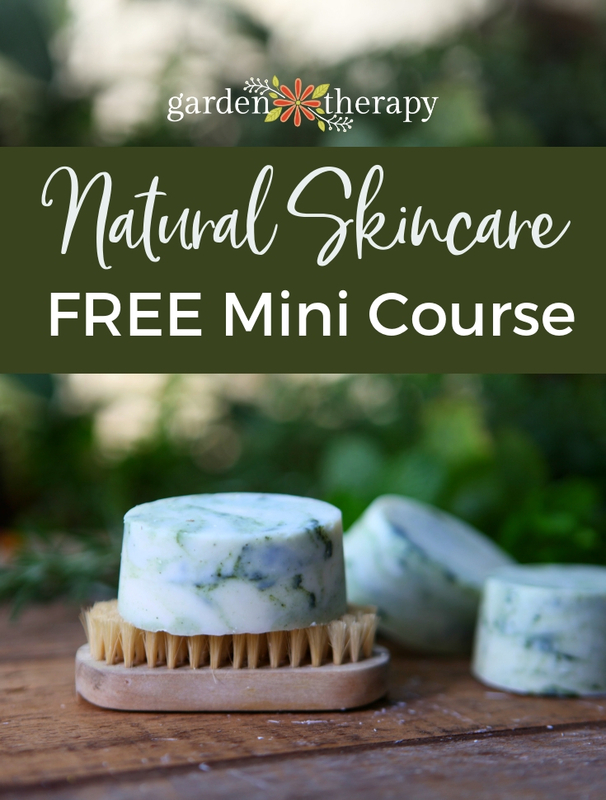 Wendy Kiang-Spray is no stranger to intensive beds and she is here to give us the dirt on building, double-digging, and maintaining your own Chinese-style intensive vegetable garden. 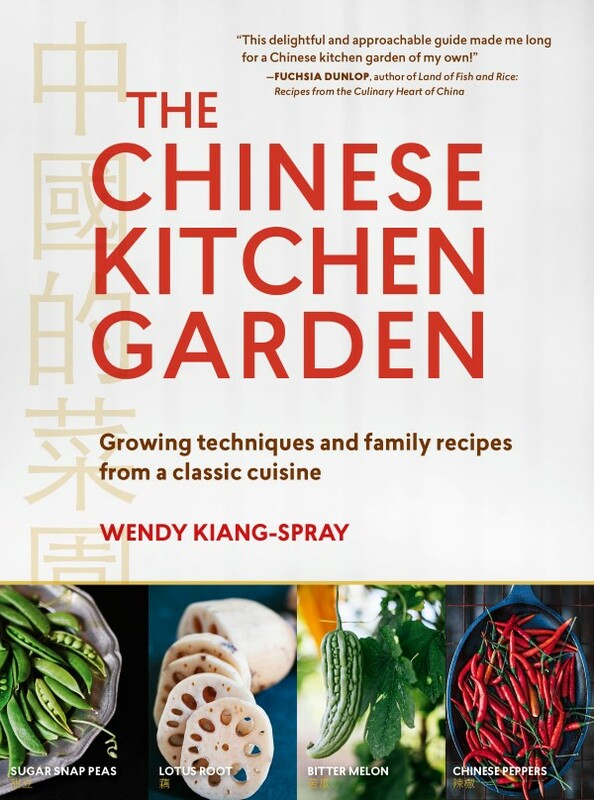 If you want to learn more from Wendy, check out her fabulous book The Chinese Kitchen Garden: Growing Techniques and Family Recipes from a Classic Cuisine. The book tells Wendy’s story of connecting with her cultural background through growing food and is chock-full of great gardening tips and creative recipes. My father’s current garden encompasses about 13,000 square feet. He has spent more than twenty years landscaping this property and tending his large garden. In fact, my father has essentially created a vision of idyllic China on his current 8-acre property, 6 acres of which are a pond dotted with ducks. Similar to the peonies, large-blooming chrysanthemums, bamboo, and white geese that make up the picture-perfect elements of his home, the vegetable garden follows a Chinese style of building garden beds that farmers and home gardeners have successfully implemented for centuries. The area where my father made his garden had relatively few rocks or other surprises in the ground. As a result, he used a traditional Chinese method to double-dig his garden. 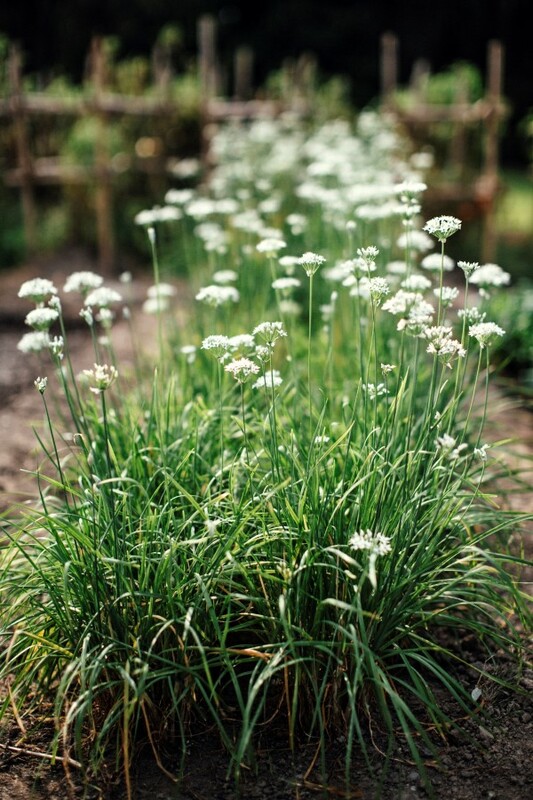 For a less laborious method of preparing a garden plot, try layering organic compost or other materials that slowly break down over time to improve the soil. Or build raised beds if your soil is very poor. Here’s how to create a Chinese intensive garden following my father’s technique. With string mark off rectangular beds of desired length, with a width of about 4 feet. Leave paths about 18 inches wide between beds. Working from the paths to avoid stepping in the planting area, double-dig the soil. Begin in the first bed by digging out the top layer of soil to the depth of a shovel and move the soil into a pile near the farthest bed. Back at the first bed, loosen the second, deeper layer of soil. Move to the second bed and remove the top layer of soil. Dump this into the first bed, breaking up any clods of clay. The soil in this first garden bed will now be loosened to the depth of about two shovels, creating a planting area with loosened soil that most vegetables will be happy to grow in. This is also the time to amend the soil, if desired. Continue to dig into the deeper layer of soil in the second bed and then fill with the top layer of soil from the third bed, mixing in compost and any other organic materials to improve the soil. Continue working on all the beds in this way. To fill the last bed, use the pile of soil set aside from the first bed. Gently rake the top of each bed flat. Whichever method you use to prepare the soil, when creating permanent beds, gardeners are able to focus on building the soil in the individual beds and resources are never wasted. For example, any soil amendments are only added to the growing areas, not lost on paths for walking on. Water is diverted to the vegetables only. Compare this to a typical in-ground or American farm-style garden which is tilled from edge to edge each year, which is broadcast fertilized, which is watered in its entirety, and which is stepped in, compacting the soil, creating a need to till later. This method not only harms the soil structure that gardeners aim to improve, but is also a waste of resources. In my father’s Chinese intensive-style garden beds, energy is devoted to cultivating, digging, and watering permanent planting areas. The soil that vegetables grow in is never stepped in and gets better each year. Paths in between the garden beds provide solid ground to stand on and work from. The stable paths also offer the grandchildren fun landing pads to leap from row to row. The loose and fertile soil created over time allows plants to build a healthier root system, which helps produce a better crop of vegetables. Deeper roots also means plants can withstand droughts. On the flip side, slightly raised beds with healthy, well-draining soil also allow plants to thrive during periods of heavy rain. In the spring, intensive Chinese beds warm up more quickly. And through the season, crops are abundant because plants can be planted closer together. 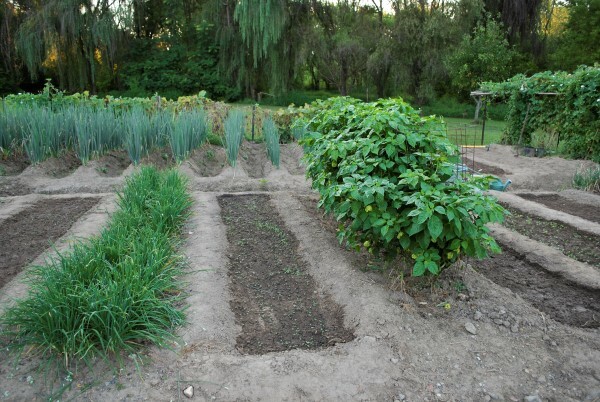 For the next season’s crops, separate garden beds allow for planning an easy crop rotation system, which will help grow stronger plants with fewer pests and diseases. After decades of building the soil at his current property, my father’s ample intensive-style garden is highly fertile and the soil is the picture of light and fluffy. Among the white geese gliding on the water, the willow trees edging the pond, and the large Asian vegetable garden tucked into the beautiful oasis, my father has created a landscape straight out of the most scenic spots in China. Taken from The Chinese Kitchen Garden © Copyright 2017 by Wendy Kiang-Spray. Published by Timber Press, Portland, OR. Used by permission of the publisher. All rights reserved. Wendy Kiang-Spray’s articles about gardening and food have appeared in national, local, and web publications. 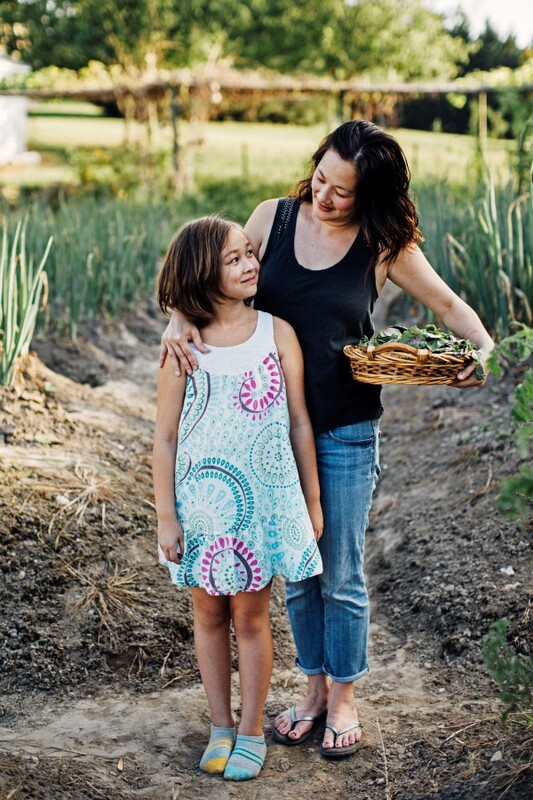 She comes from a long line of gardeners passionate about growing food but is lucky to be the first generation in her family not reliant upon farming for survival. 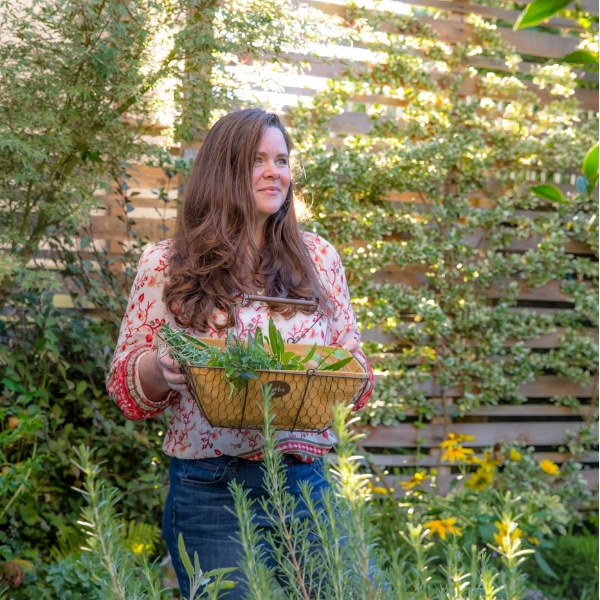 When she’s not working in her garden, she is a high-school counselor, garden speaker, and volunteer with the D.C. Master Gardeners. Thanks for the article, Stephanie. I’m working towards being more self-sufficient on my urban homestead so growing more in less space is a must. I’ve read of the French intensive method – not sure how it compares to the Chinese intensive methods. I’m veggie gardening in raised beds which I think has so many advantages to planting in traditional in-ground beds. One advantage is that it is harder to accidentally step into the beds – you have to deliberately do so. My beds are all 4 feet wide with access from both sides so stepping in is rarely required. Would have been interested in learning more about what is used to amend beds. 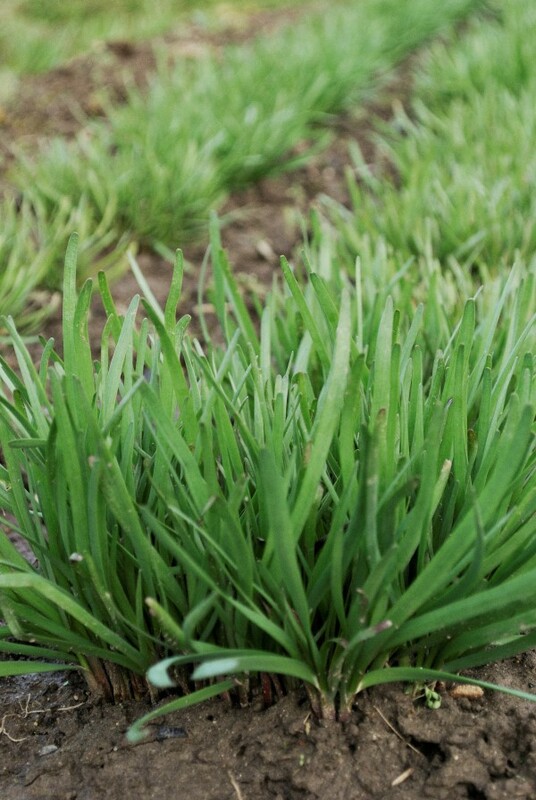 Are cover crops used and what kind? Is mulch used to conserve moisture and reduce weeds? Or is that all in the book?